Arizona is losing someone every day to prescription painkillers – including older adults. This trend affects every parent, grandparent and guardian in Arizona, regardless of race or social status. Right now, communities are coming together and taking action to end this epidemic. 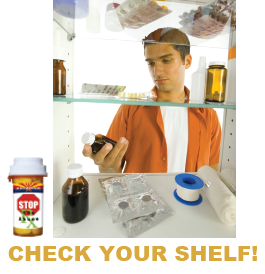 To make a real change, we need to rethink the way we use, store, discard and discuss prescription drugs. Read some tips for talking with your healthcare provider.